As the name suggests, Exploris is a 100m-explorer vessel with a Ulstein Group style ‘X-BOW’, providing a distinctive and robust looking exterior that will take her owner and guests anywhere in the world with confidence. 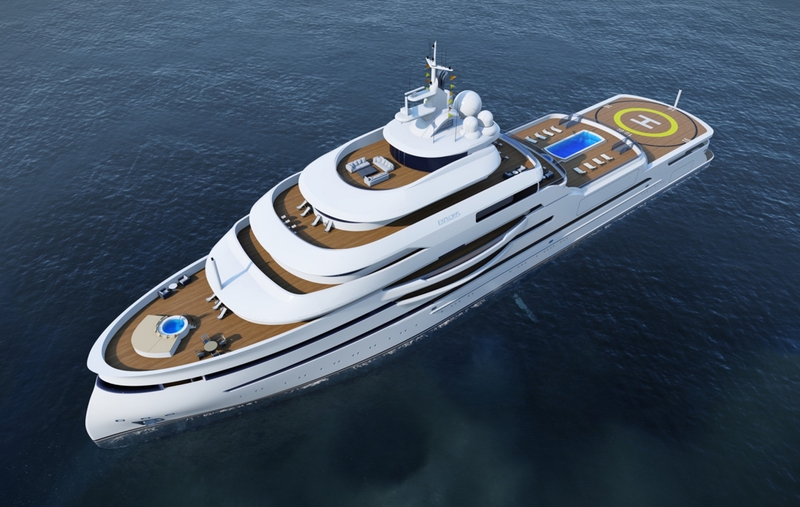 Behind the masculine exterior that includes an Ice Class hull, is a high volume superyacht equipped with all the technology and hardware you would expect of a true explorer. As a Lloyds PYC classified vessel, Exploris provides plenty of accommodation and her twin Azipod propulsion system will achieve a range of 7,000nm. When combined with a forward retractable thruster and twin bow thrusters, Exploris has superior manoeuvrability and full dynamic positioning capabilities. Exploris features a dedicated helicopter hangar that can house an Augusta Grand or EC135. However, the CAP 437 helipad is certified for the much larger Sikorsky S76, located aft of the vessel. 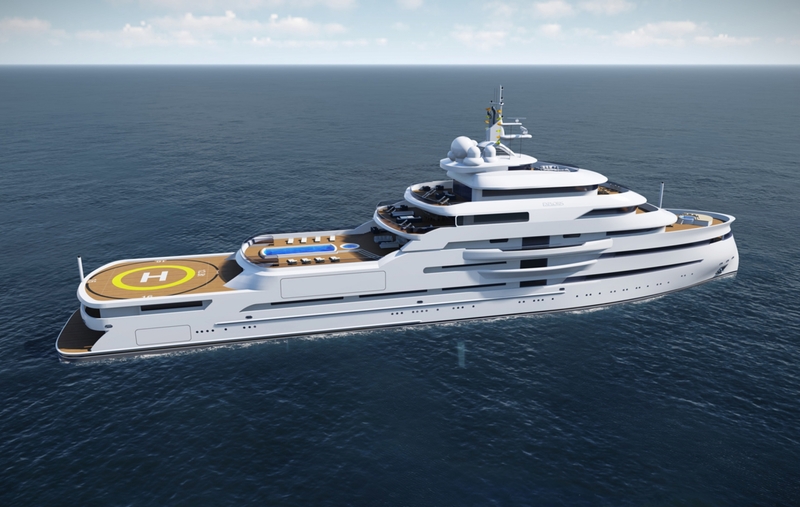 When guests land on deck, doors forward lead into the heart of Exploris starting at the unusually high beach club where twin 12.5m custom tenders are launched and retrieved. Once the tenders are deployed, the 18m full beam can be utilised with the added benefit of enhanced privacy that this level affords. When you add a Trident submersible, full dive facilities including a re-compression chamber, there is nowhere beyond reach. Above the bridge deck is a fully private promenade deck with observation saloon and extra wide side decks. The owners get to enjoy a private deck area and below this is a forward facing observation lounge above the enclosed mooring room. 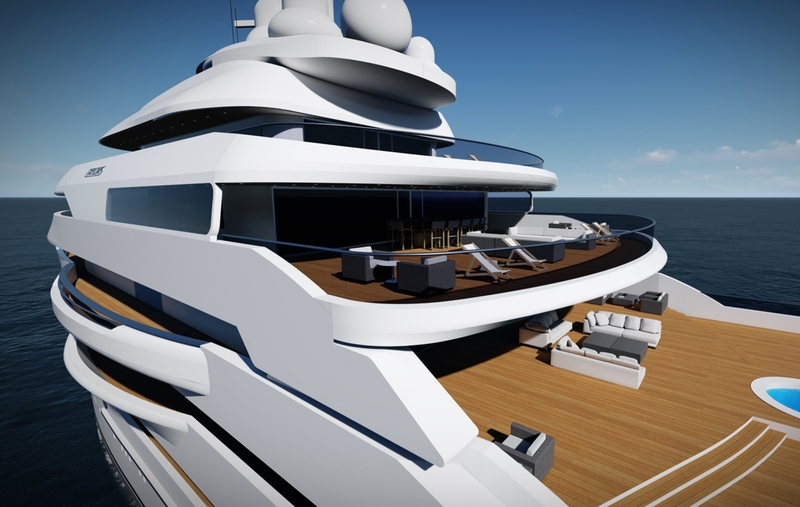 The 100m project also benefits from a Seymour Diamond interior, developed together with Gresham Yacht Design. The main saloon is located forward offering panoramic views and leads directly to the forward facing observation lounge, with a window that extends around the bow for unbelievable views. There are two fully covered aft deck areas, one for dining and one for lounging. 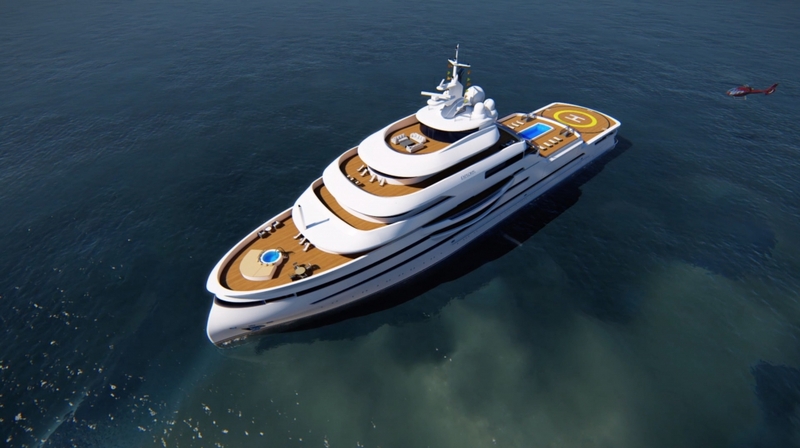 Looking aft reveals the 10m long pool fitted with swim jets along with a Jacuzzi and large sunbathing deck. Drive system: DEPS with twin Azipod compact size 6, including a forward retractable thruster. · CAP 437 helipad for Sikorsky S76 and Helicopter Hangar to accommodate Augusta Grand or EC135. 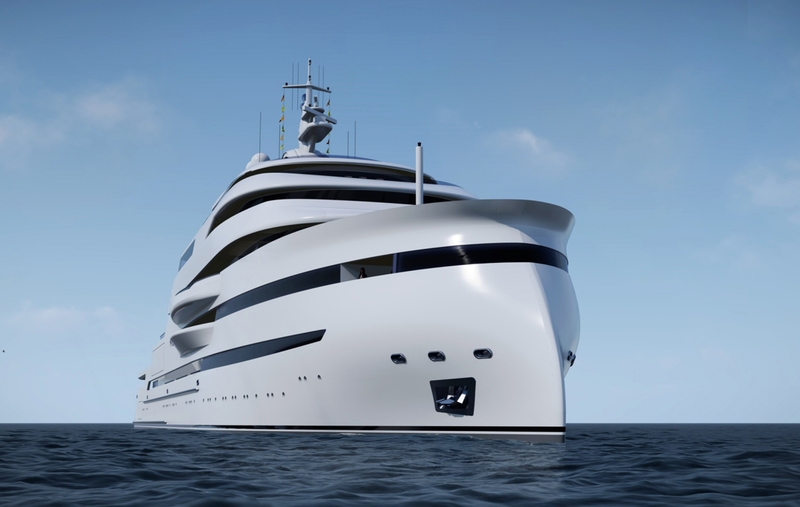 · Two 12.5m custom tenders. 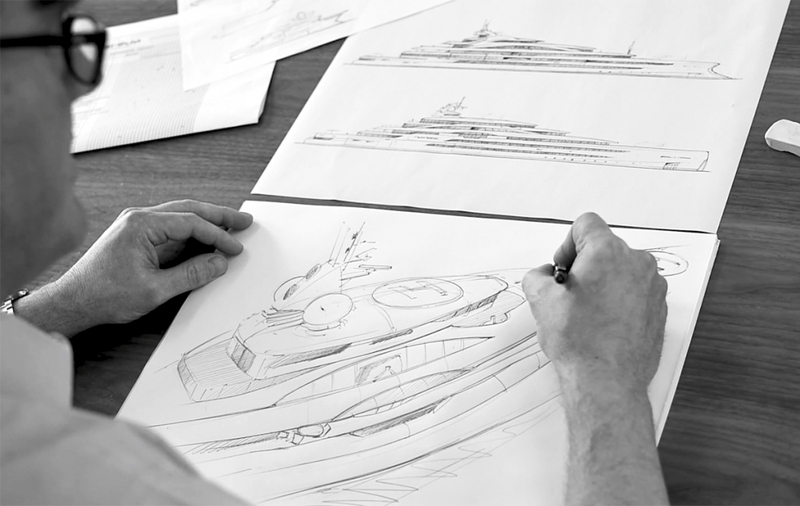 · Trident submersible with dedicated hangar and L.A.R.S. · Full dive facilities with re-compression chamber.